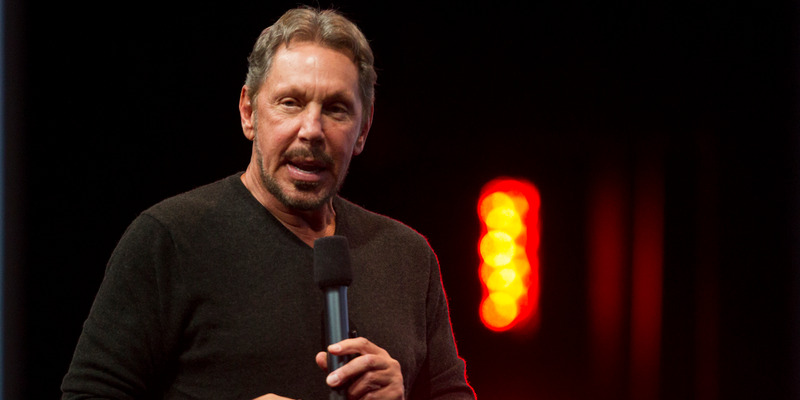 Kimberly White/Getty ImagesOracle chairman Larry Ellison hasn’t been shy about his rivalry with Amazon. Amazon, a longtime customer and competitor of Oracle, plans to stop using Oracle’s technology entirely by 2020, according to CNBC. Amazon has slowly moved off of Oracle’s databases and onto its own Amazon Web Services (AWS) infrastructure over the last few years, according to the report. But Oracle doesn’t think Amazon can make it on its own. In a statement shared with Business Insider, Oracle said that Amazon bought $US60 million in software just one year ago – and questioned whether Amazon’s technology was good enough to fully replace Oracle. Amazon, the leader in cloud storage and services, plans to move off of Oracle databases entirely by 2020, according to CNBC. The company reportedly started moving off Oracle’s databases four to five years ago over concerns about Oracle’s ability to scale – though some of its shipping business still uses Oracle’s technology. Oracle, however, seem to think it’s a bluff. According to an Oracle representative, Amazon spent $US60 million on Oracle databases and data analytics software around a year ago. Indeed, “over the years Amazon has spent hundreds of million of dollars on Oracle technology to run their business,” says the spokesperson. “We don’t believe that Amazon Web Services has any database technology that comes close to the capabilities of the Oracle database. That’s why our biggest competitors like Salesforce.com, SAP, and Amazon continue to rely on the Oracle database to run their business,” she said. The conflict between Amazon and Oracle has intensified in recent years: Amazon Web Services, the largest player in the cloud market, is attacking Oracle’s core business with tools designed to steal customers away. Oracle, for its part, has made the cloud a big strategic focus for the company, as it works to get a leg up on Amazon.